Unbelievable quality regardless of price. The top is sturdy and has a nice thick collar with enough material for gi chokes without being baggy. The pants were stiff out of the packet but with a few washes have softened. These pants are light and super tough. 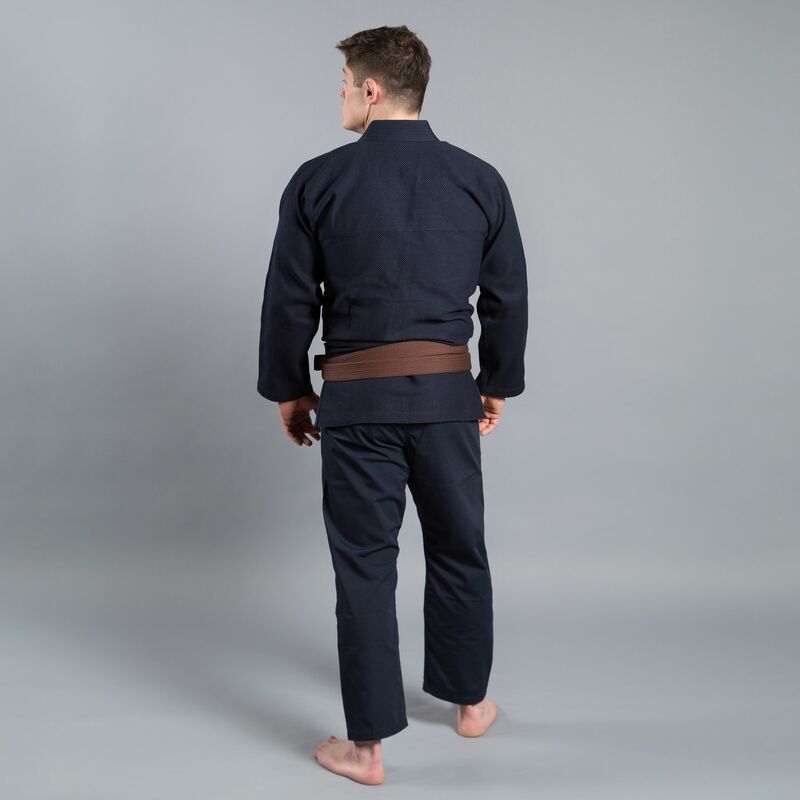 The finishing on this gi is first class, I like my kimonos plain but might stick one or two of the bullseye patches on as they are too classy to leave off 🙂 I am 6’0” and 87kg and the A2 is the perfect fit without having to shrink. 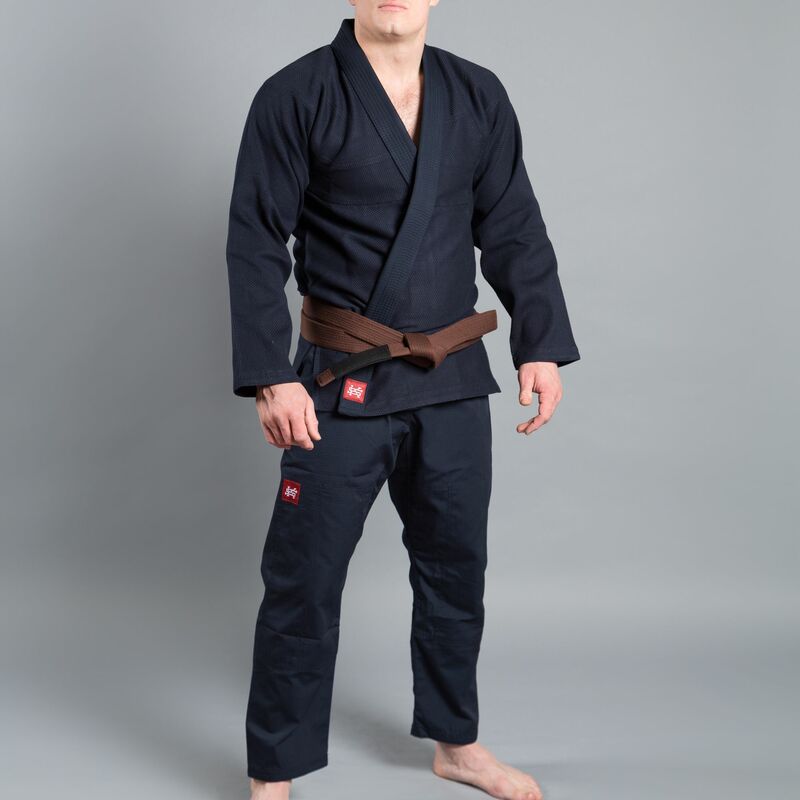 This gi was so good we ended up buying one for our coach and scramble provided and awesome service. I am now a fan!!! The Navy Standard Issue – Semi Custom kimono is on point! I went for an A2 as per the size chart and it fits perfectly. The ripstop fabric used for the pants is a real game changer, light and not as muggy as cotton. The kimono jacket is amazing, too. 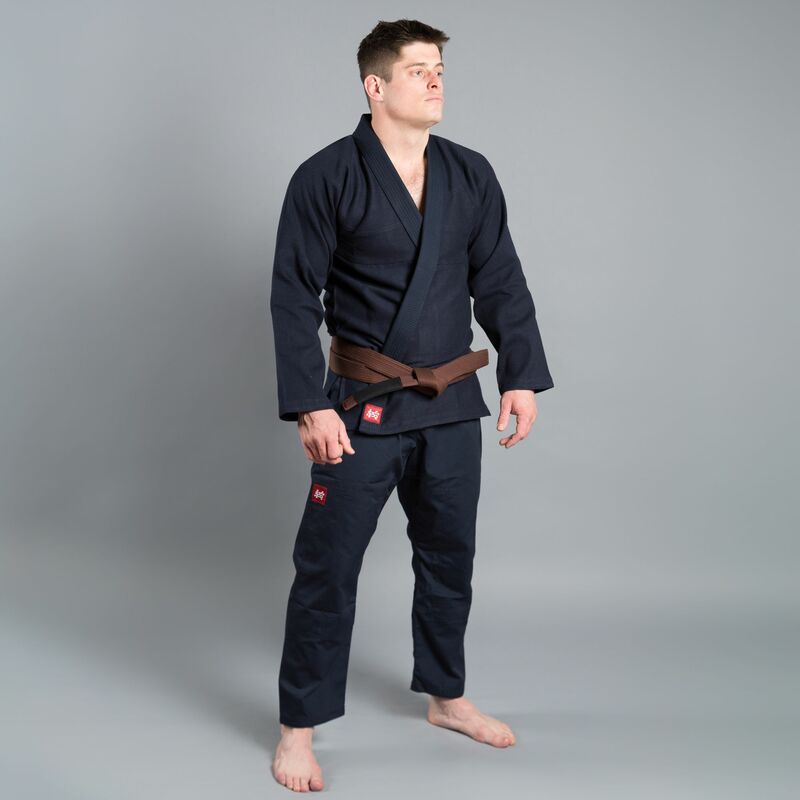 All in all a solid gi at a great price. 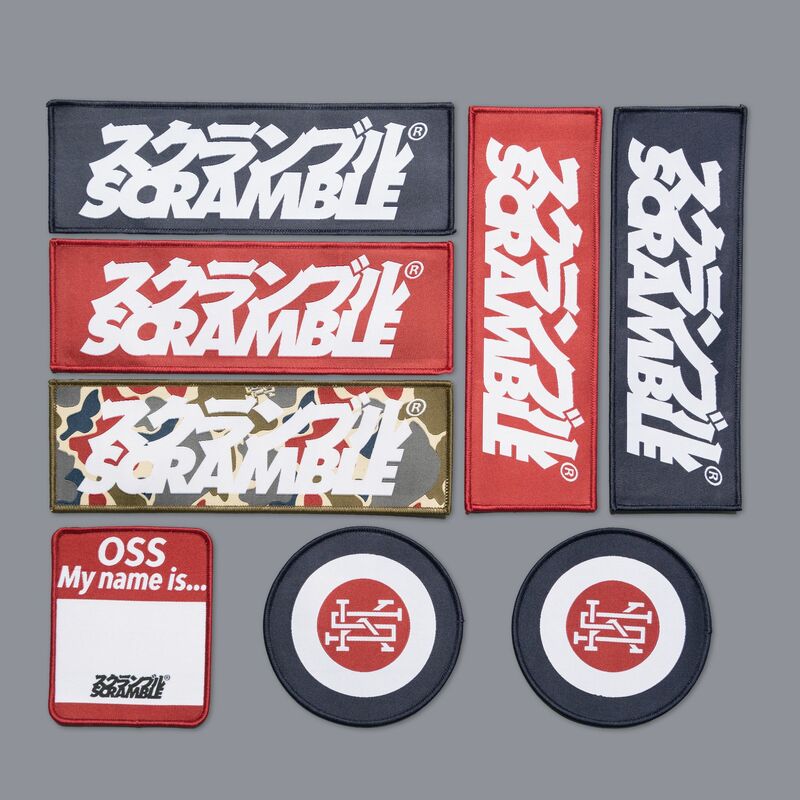 Great job Scramble. I’ve had the Gi for 4 months now, and I love it! No sign of shrinkage whatsoever, I wash COLD. Mine is still unpatched even though the patches look great. Comfortable and resistant, the navy color is just how i expected (looks good with my red face when i’m getting choked). It also dries fast which is great. I ordered an A2L, and it fits perfectly – I’m 181cm and 73kg (about 5ft11 and 161lbs). Would buy again, no hesitation, great quality for the price and great rolls. I bought a size A1L for this (176cm and 63kg) and if fit great. It7s light weight and the fit it very compact or slim. I like the way it fits. 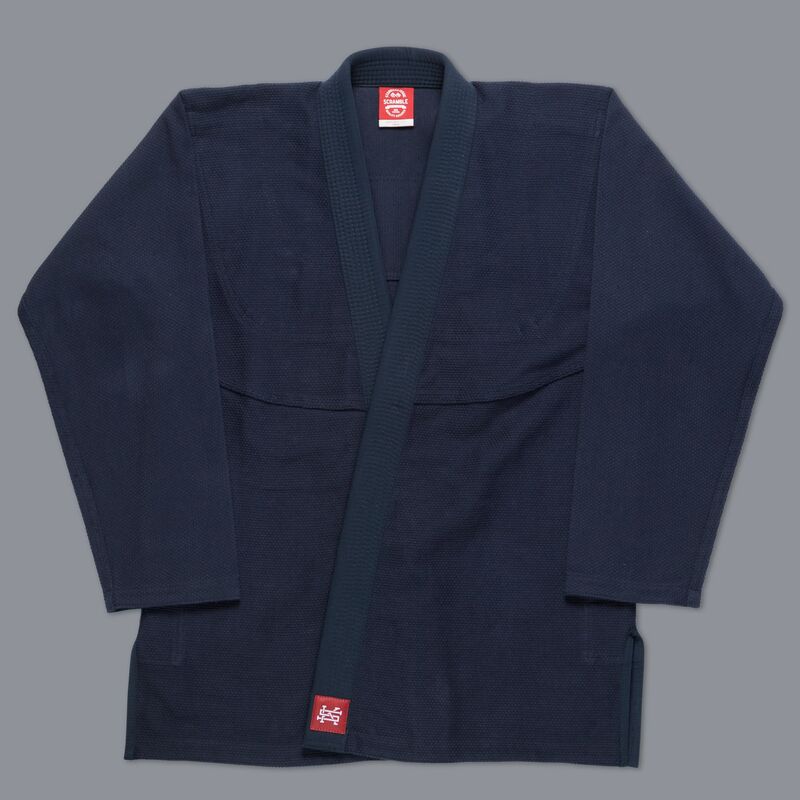 It’s low priced but a very very good gi. I bought the white as well. Mine did shrink a bit even though I always wash it in cold water and hang dry. Really happy with the kimono. 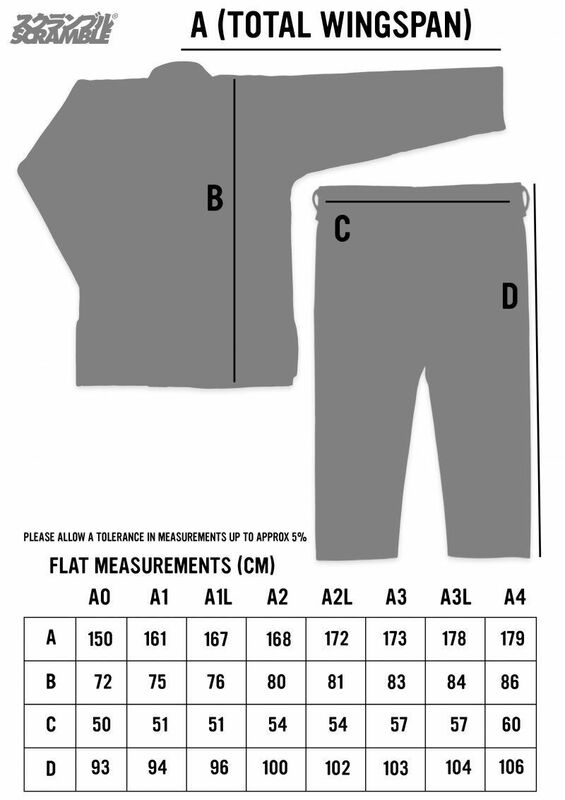 I am right in the middle of the sizing chart and whilst i was a little concerned about it being too big – a few 30 degree washes and all is good. Don’t expect excessive shrinkage where suddenly the arms and legs lose 3+ inches, everything just tightens up nicely. Jacket is solid with quite a thick solid collar, pants are really comfortable with the 4 belt loops giving a good secure hold. Patches look great, and the service / customer response is excellent. Would not hesitate to buy from them again. An excellent kimono for those of you (like me) who like an understated look, with minimal patches. 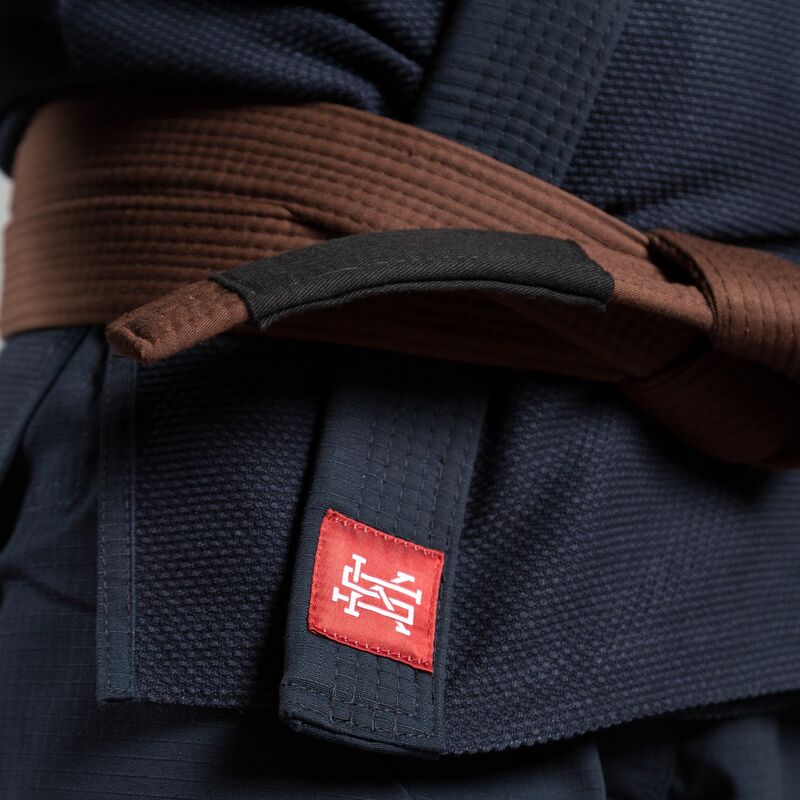 Don’t let the minimalist look (or price) fool you though, this is a durable and hard-wearing Gi. Washed it many times now and there is no sign of shrinkage or wear. 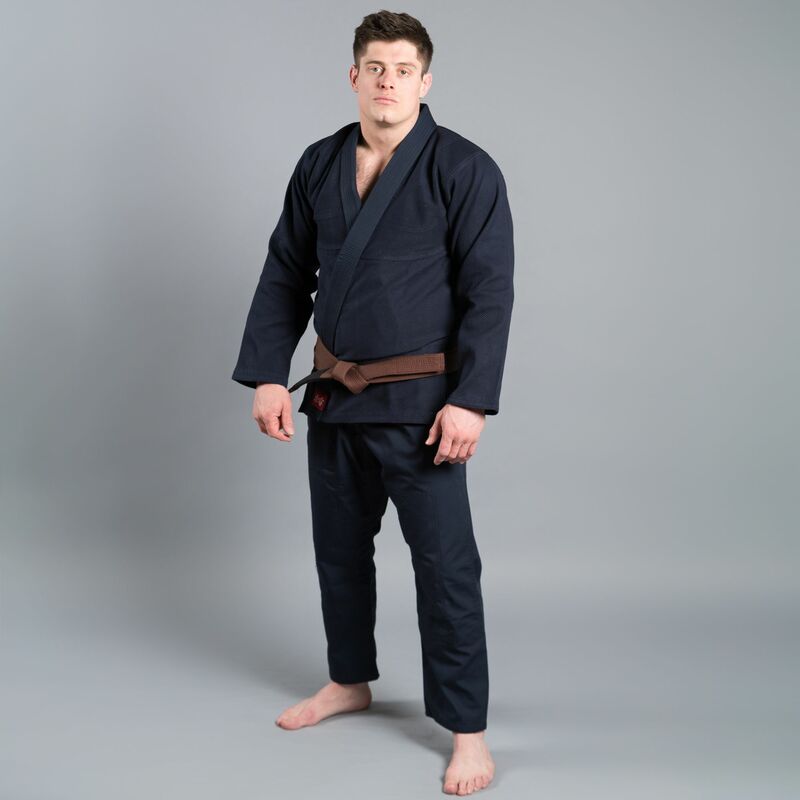 Overall, the Navy Standard Issue – Semi Custom kimono is great value for money and highly recommended.